Then you're ready for Lyrics Guru®, a song lyrics trivia game, where you try to match the correct word found within the lyrics of the song. 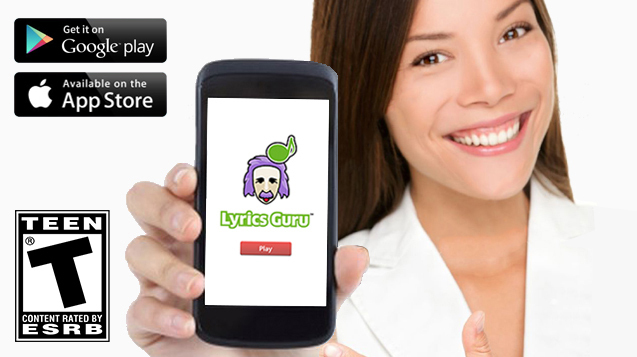 The Lyrics Guru® app is a FREE, real-time, song lyrics trivia game for iPhone, iPad and Android devices! Contestants spin wheel to select a category. Match the correct word found within the lyrics of the song. Get 8 categories to be the Lyrics Guru. The winner is the first person to collect eight cards, one of each music genre. © 2014-2017. Al Jones Corporation. All Rights Reserved.